As people become more health conscious overall, they are increasingly particular about the kinds of foods they eat and how their meals are prepared. However, one overlooked aspect of meal preparation is the different kinds of cooking oils that can be used. According to the American Heart Association, some oils contain saturated and trans fats. These can be dangerously bad for the heart. This is one of the reasons why many restaurants and fast food chains have discontinued cooking their foods with these unhealthy oils. However, there are good oils that can be used as well. These typically contain polyunsaturated and monounsaturated fats. Olive oil: Whether of the extra virgin or light variety, olive oil is extremely heart-healthy, the AHA wrote. Derived from pressed, ripe olives, this cooking oil has a unique flavor that can be used for sautéing, frying, roasting and as a base for a variety of dishes. Coconut oil: According to Authority Nutrition, 90 percent of the fatty acids in coconut oil are saturated. This makes it ideal for cooking over high heat. Comprised primarily of Lauric acid that can help kill bacteria and lower cholesterol, this oil can also help speed up metabolism, allowing the body to break down and process foods much faster. Vegetable oil: Generally used for sautéing and frying, this oil is made from combining extracts of sunflower seeds, corn and even soybeans. 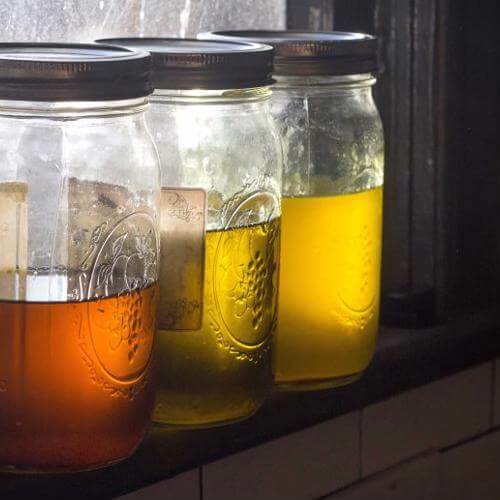 With a flavor profile considered to be mild, vegetable oil can be used in a variety of healthy cooking recipes. Palm oil: The unrefined version of this oil contains a healthy amount of Coenzyme Q10 and Vitamin E. Originating from oil palm fruit, the combination of both monounsaturated and saturated fats, as well as polyunsaturates, makes this oil ideal for healthy cooking. Canola oil: The AHA wrote that the versatility of this oil makes it a staple for any home kitchen. You can use it as a marinade or to fry a variety of meats and other food items. Canola oil became popular in the 1970s and still maintains a heavy presence on store shelves throughout the U.S.